LIVE REPORT: DIR EN GREY -mode of- UROBOROS @ Zepp Nagoya | VKH Press – J-Rock & Visual Kei Coverage Worldwide! It has been eight years since the release of UROBOROS, one of DIR EN GREY’s most acclaimed albums to date. DIR EN GREY’s 20th anniversary is coming up in February. The band has been doing -mode of- tours since 2014 in order to showcase their work spanning over the course of twenty years and to expound on the expression of ‘pain’ within each album. -mode of- UROBOROS is the latest installment. 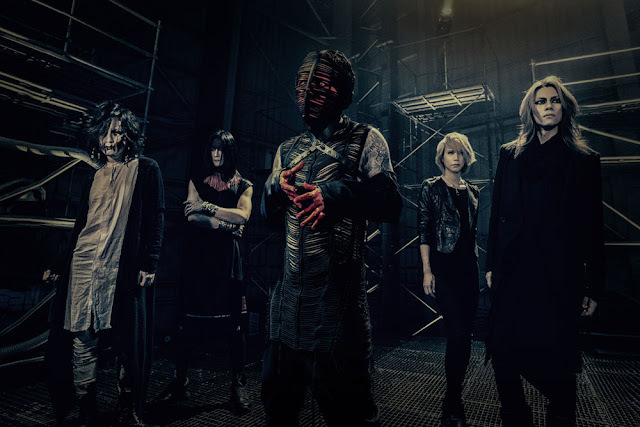 While the previous tour, -mode of- KISOU held a playful atmosphere, we were able to catch the more intense -mode of- UROBOROS on January 14th at Zepp Nagoya in Nagoya, Japan. The band had booked Zepp Nagoya for back to back shows on January 13th and 14th, the 13th seemed to set a chill over the crowd with the outside temperature, fitting for the more intense tour that played off of the elements within the album. On the 14th, we arrived to find the venue slowly being covered in snow. Fans who had begun lining up in the snow since before 9am were given white numbered tickets, spared the cold, and told to come back at 3pm when merchandise would be on sale.Even though the venue was not sold out, fans began to line up around the block in the snow with umbrellas to halfway block the freezing assault. Once numbers were called, merchandise began to sell out very quickly with many fans buying multiples of items. Outside, fans were then told to come back at 5:15 when doors would open and ticket numbers would start being called, once more to save us from waiting in the cold. Coin lockers were purchased for merchandise and food acquired as refuge from the cold, still a few diehard fans wandered close to the venue. The lottery system for tickets in Japan is one that is both convenient and inconvenient all at once. In Japan, if you purchase tickets and it is not a seated venue, you will be given a number on your ticket and that number will be called outside of the venue when doors are set to open. This is convenient because you don’t have to stand around the venue. However, in the snow it was a bit like torture waiting for your number to be called, and like a breath of fresh air when it was called and you were let inside. Once inside, fans could take photos with the large -mode of- billboard that has become a fan favorite thing to do on these tours; purchase coin lockers to put jackets in; and of course go and claim their spot inside the venue. Despite having a rather low number, because the venue was not sold out, it was easy to get a spot to see clearly. At DIR EN GREY lives I find that it is best to stand a bit closer to the doors as it gives a clear view of the stage and generally ensures I can keep my space for the duration of the live and not get caught up in the initial push. Normally at DIR EN GREY lives, when the lights go down there is a push from the back that will make you feel like you are crammed on an early morning rush hour train in Tokyo. However, somewhere around -mode of- KISOU fans began doing an initial push around five minutes before the show was set to start, and another as the lights went down.